I bought this for my daughter a few years ago. Every once in a while, she will write me a little bit in this journal and I have to respond...it's a great way to open up and continue the communication about...life! 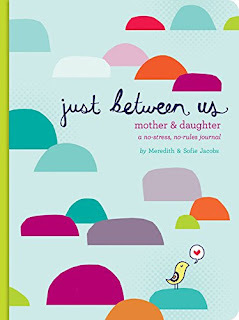 Head over to get this Just Between Us: Mother and Daughter: A No-Stress, No-Rules Journal for $10.95. This is a great gift to give to your daughter for Valentine's Day!